Pile on down to the Mana Cruising Club on Porirua Harbour and join us for this free, whānau-friendly celebration featuring Pasifika-flavoured fun, music and food galore – the last stop in the Waka Odyssey tour of the Wellington region. 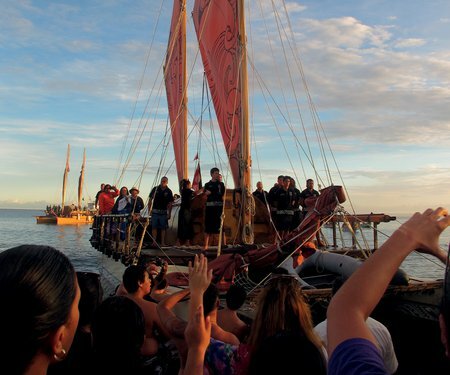 Explore the Pacific voyaging traditions of great navigators like Kupe and climb on board a waka hourua (traditional double-hulled sailing canoe), then learn more about celestial navigation and the galaxy in the amazing pop-up S.M.A.R.T. Trust star dome. After all your adventures, relax and enjoy free music and entertainment, and take your pick of the great kai on offer from Wellington’s best food trucks and pacific island stalls. Later that day, move on to Trust Porirua Park for your own picnic tea and enjoy Porirua’s spectacular Symphony in the Park, featuring Sol3Mio. Pacific Island food stalls – Come and get your fix of delicious food and drink from various parts of the Pacific. Cook Island ‘ei katu workshop – Porirua’s Cook Island mamas will be hosting workshops on how to make beautiful ‘ei katu head garlands. Hawaiian music workshop – Learn about language and music from the beautiful Hawaiian Islands. Navigation discussions – Crew members and members of the community are encouraged to share stories about travelling the Pacific Ocean on a traditional sailing vessel. Kava kōrero – Experience a kava circle with the crew members to celebrate their voyage to Porirua and beyond. Thanks to Porirua City Council. 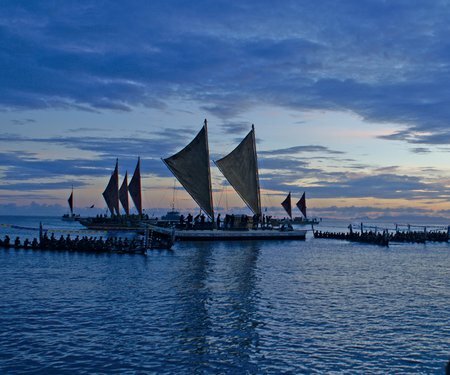 Pasifika Porirua is a Kupe Dreaming event and part of A Waka Odyssey, a celebration of our place in the Pacific that includes the spectacular Kupe: Festival Opening Night. Download the A Waka Odyssey flyer to plan your journey.